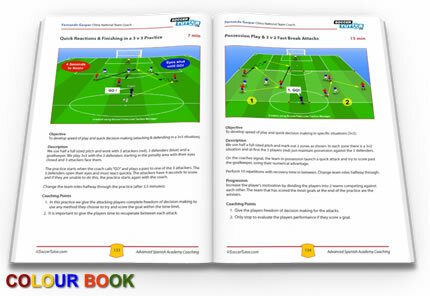 The Advanced Spanish Academy Coaching book provides an extensive range of practices from professional coaches from Villarreal CF, Real Madrid, a Spanish Football Federation Youth Development Coach and the China National Team Fitness Coach. 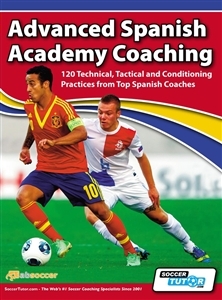 This book contains 120 practices as used in the academies of La Liga. There are technical, tactical and conditioning practices ideal for coaches at youth level to develop their team to world leading, Spanish academy standards. Spanish Football Federation Youth Development Coach. 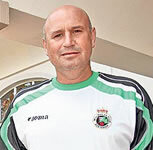 Former Atlético Madrid & Real Madrid Academy Coach. Villarreal CF Technical Academy Coordinator. Wide players, centre midfielders and forwards. China National Team Fitness Coach. Former Real Madrid & Benfica Coach. With cognitive and coordinated football specific training. Learn the coaching philosophies and practices as used in the La Liga academies from Top Spanish Coaches of; Villarreal CF, Real Madrid, a Spanish Football Federation. When I read the description of this book, I already knew that I have to buy it. And like I expected, its a very interesting and good book. Very glad for my purchase, and it only took 5 days to arrive in DK. I had purchased the "Spanish Academy Coaching" book a couple of years ago and I was very interested in seeing what the Advanced version was like. I was not disappointed with this purchase. Like it's sister title, it is well organised, easy to follow and very readable. Like almost every book there are exercises I have seen elsewhere however, I think it is great value if you are an advanced coach looking for a reference book to dip into for new ideas for training or a novice coach looking for some direction and organisation for older / more advanced players.